One aspect of boat maintenance is understanding a bit about the function of the gelcoat layer of your boat. 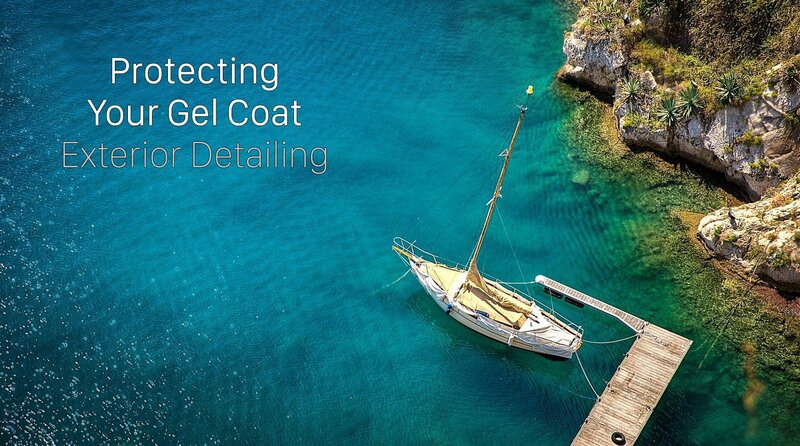 Similar to the top clear coat on your car, the gelcoat layer gives your boat a shiny luster, and acts as a protective barrier between your boat’s hull and external forces such as water, damaging UV rays, wind, and contaminates. Gelcoat is an epoxy or polyester resin that forms the outermost structural layer, bonding to the fiberglass. Over time, the gelcoat will get its share of scrapes and scratches, becoming dull and oxidized. In addition to ruining your boat’s appearance, a deteriorating gelcoat can actually weaken the hull and expose it to serious damage. With proper maintenance, your gelcoat can last up to two decades. Follow the measures below for a longer lasting, more beautiful looking hull. Commit to a quality fibreglass cleaner for your boat: Before you reach for an ordinary household cleaner, remember they contain harsh chemicals like ammonia. Think like a chemist. Common household cleaners often react negatively with gelcoat components, causing oxidization, clouding, and damage. Investing in proper fiberglass cleaning products saves you time and money in the long run. Another option is to steam clean your boat, as it will effectively remove all dirt, pollutants, and grime from the hull. Make sure the hull is fully clean before applying any waxes or sealants: Boat gelcoat is porous and the pores trap contaminants like dust, dirt, grime, oil, and of course salt. Applying a layer of wax to an improperly cleaned surface will trap the contaminants and accelerate the process of gelcoat oxidation. Polish the gelcoat: Once the gelcoat is clean, make sure to thoroughly polish the gelcoat to prepare the surface for waxing. A good polish removes dust, dirt, scratches and smooths out imperfections that gelcoat cleaners don’t address. It is this smooth surface that requires the durable layer of wax or sealant, so the entire structure of the hull is protected from water intrusion and UV light. Apply a good boat gelcoat wax or polymer sealant: Like the cleaners, it’s crucial to use a marine grade wax or a sealant. Unless the product specifically says it can be safely used on both cars and boats, don’t use it on your boat. A natural carnauba wax provides epic shine, but a synthetic polymer sealant will last longer. Use a specific restorer formulation if your boat gelcoat is heavily oxidized. Protect the boat from weather when it is not in use: Covering your boat with a marine cover such as a tarp or storing it inside a boathouse will protect it from the elements and extend the life and beauty of your gelcoat.